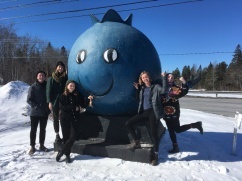 2019 Annual Atlantic Undergraduate English Conference Attendees! 2018 FASS Essay Competition Winners! Get involved in a society, book club, or conference. 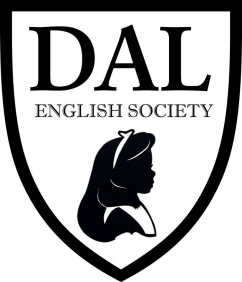 Send the group an email at dalhousie.english@gmail.com or visit the facebook page to get involved! - Samantha Capell, First Year Representative. St. Thomas University in Fredricton hosted the 2019 AAUEC. 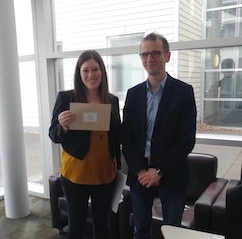 Dalhousie sent undergraduate students to present both scholarly papers and creative writing. Check out the facebook group or email the folks at DASS to get involved. The Haliburton Society, founded by the University of King’s College in 1884, is the oldest extant English campus literary society in the British Commonwealth. Check out their facebook page. Visit VERSO to read last year's student published articles. The call for submissions for the 2019-2020 edition will be coming in Fall 2019. Want to become part of the Fathom team? Visit Fathom's facebook page to get involved! See the latest edition here. DAGSE facilitates communication between graduate students and faculty, and to help foster a sense of social as well as academic community among graduate students. Thus, we represent graduate students at departmental and graduate committee meetings, as well as organizing several social events throughout the year. We are planning an orientation meeting for graduate students sometime in the beginning of September, and a meeting later the same month to elect new DAGSE members. We will keep you posted on specifics. In the meantime, if you have any general questions regarding life in Halifax (apartment hunting tips, where to buy used furniture, good book stores, popular pubs...) or specific questions about the department and what to expect, please don't hesitate to contact us. Also don't forget to check out the DAGSE facebook page!